During Lent, we are asked to devote ourselves to seeking the Lord in prayer and reading Scripture, to sacrifice self-control through fasting & abstinence, and to share our blessings with others by giving alms. Ash Wednesday (March 5th) and Good Friday (April 19th) are days of fast and abstinence. Fasting is to be observed by all 18 years of age and older, who have not yet celebrated their 59th birthday. On a fast day one full meal is allowed. Two other meals, sufficient to maintain strength, may be taken according to each one’s needs, but together they should not equal another full meal. Eating between meals is not permitted, but liquids, including milk and juices, are allowed. Abstinence is observed by all 14 years of age and older. On days of abstinence (Ash Wednesday, all Fridays of Lent, and Good Friday) no meat is allowed. Note that when health or ability to work would be seriously affected, the law does not oblige. When in doubt concerning fast and abstinence, the parish priest should be consulted. 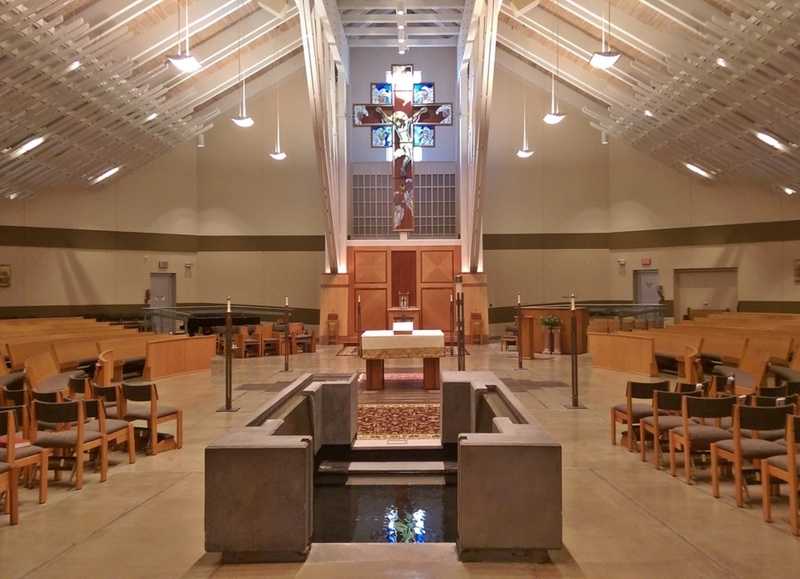 St. Joan of Arc parish will host its 13th annual DIVINE MERCY SUNDAY HOLY HOUR at 3 PM on Sunday, April 28th, 2019. During Eucharistic Adoration, Rev. Michael Joly will lead the chanting of the beautiful Divine Mercy Chaplet. Following readings from Sacred Scripture, Father Joly will offer a reflection on Divine Mercy. After Benediction, our parish Music Director, Liam Less will present a program of selected organ/piano music. Light refreshments will follow. Come and join us for a beautiful and uplifting hour of prayer and music ! Bishop Knestout encourages anyone aware of sexual abuse of minors on the part of clergy or staff of our diocese to notify civil authorities, call the Attorney General’s Clergy Abuse Hotline at 1-833-454-9064 and reach out to the Diocesan Victim Assistance Coordinator, Jennifer Sloan at 1-877-887-9603.